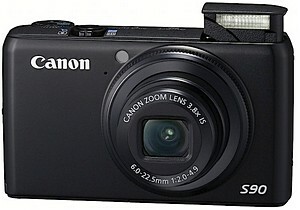 Coming in at third place in our Best High End Compact 2009 awards is Canon’s sleek and bijou Powershot S90 digicam. 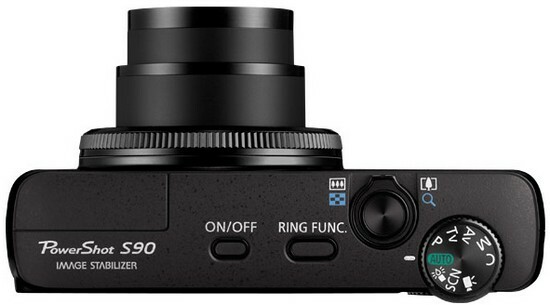 Considerably smaller than its chunkier and more expensive brother, the Canon G11, the S90 serves up a very similar prosumer-orientated feature set, offering program AE, aperture-priority, shutter-priority and manual modes – as well as the ability to shoot RAW files for the best image quality. The 10MP snapper packs a fast 3.8x wideangle zoom (28-105mm equiv, f/2.0-4.9), optical image stabilisation, a large 3″ LCD screen and a rather fiddly rear dial. At 3.94 inches wide, 2.3 tall and 1.2 deep dimensions and 8oz weight mean that this is a carry you can carry in your pocket without suffering a Spinal tap bulge, although its £370 price tag means it’s not for the casual snapper. Around the lens is an innovative Control Ring which can be usefully assigned to alter aperture, shutter speed, focus, zoom, white balance, exposure compensation, or ISO values. Video fans should look away though, as the S90 can only muster a hugely disappointing 640×480 pixels at 30fps, and overall performance was found to be sluggish at times too – this isn’t a compact for sports fans. Colour rendition, however, was excellent and photo quality was above average before things got noisy at ISO 400 and above. Beautifully made – although a tad hard to grip – this is a lovely little camera offering a full set of high-end controls in a tiny body. If pocket space is at an absolute premium, the S90 is one of the best compacts around, and is a worthy winner of our bronze award. Buy it now on Amazon or read a review here. I really like this camera – it’s small enough to fit in my handbag and has got lots of manual controls. 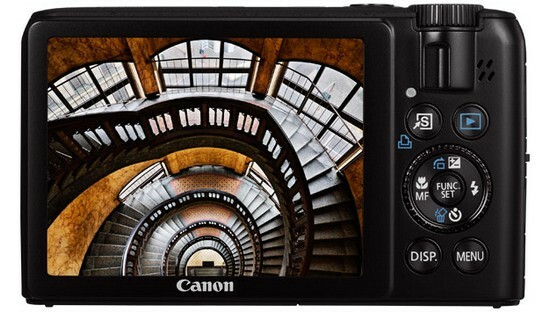 I looked at the Canon G11 but it seemed massive in comparison. I bought the S90 a couple of weeks ago for my Christmas European vacation next week (Paris, Lucerne, Milan, Florence, Rome). It came down to a choice between the S90 and LX3, but I chose the S90 because it was really compact, it had a nice UI (in the lens control ring), and it had reasonable telephoto. I don’t think the S90 gives up any IQ to the LX3. And it has pretty impressive high ISO performance! I’m after the best low light performance though. This is the only reason I want a camera of this size. LX3 or the S90…I don’t know which!